Save the date UK-based Star Wars fans. 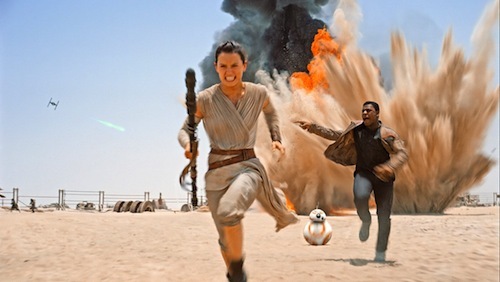 Star Wars: The Force Awakens opens 17th December. This means cinema audiences get to see the new movie one day in advance of the US. This news follows in the wake of Force Friday, which saw merchandise for the new movie released globally. Sphero's app-enabled droid, BB-8, is sold out in many stores and is set to become the must-have toy this holiday season. France gets to see the adventures of Finn, Rey, BB-8 and old friends on the 16th December. It's exactly 100 days to go until the UK premiere. Booking tickets for a day-one screening? Let me know in the comments below.